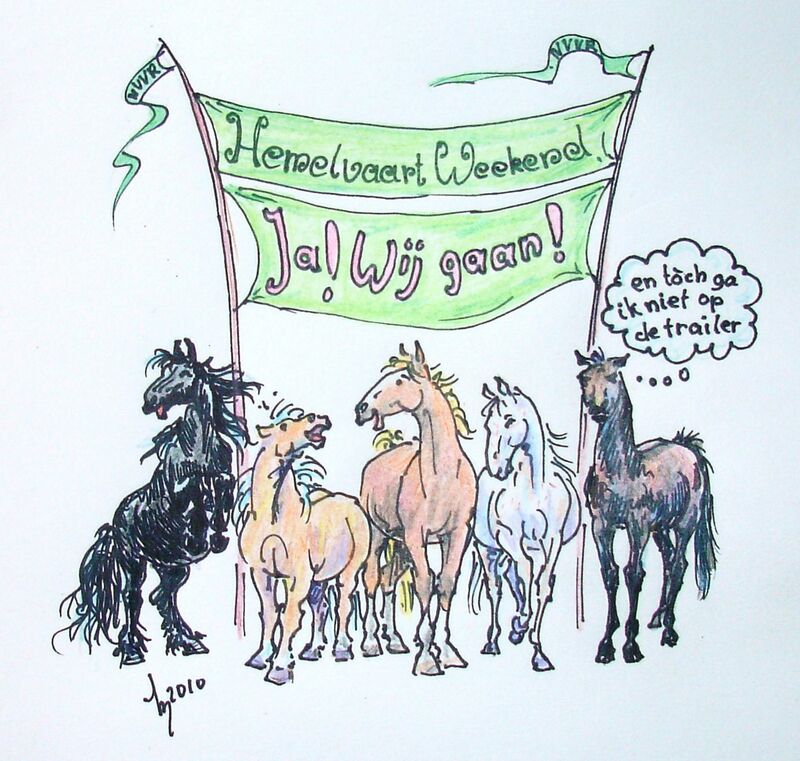 No, Ascention day means an extra long weekend in the Netherlands, with extra holidays so this is the very best ponycamp of the year, as it starts on wednesday! So I made this cartoon for the booklet. Hmmmm, except when you want to get him to go into the trailer. This cartoon is very well done. I like the way figures are drawn and the sense of togetherness that is evident between the horses. Their expressions are quite interesting!